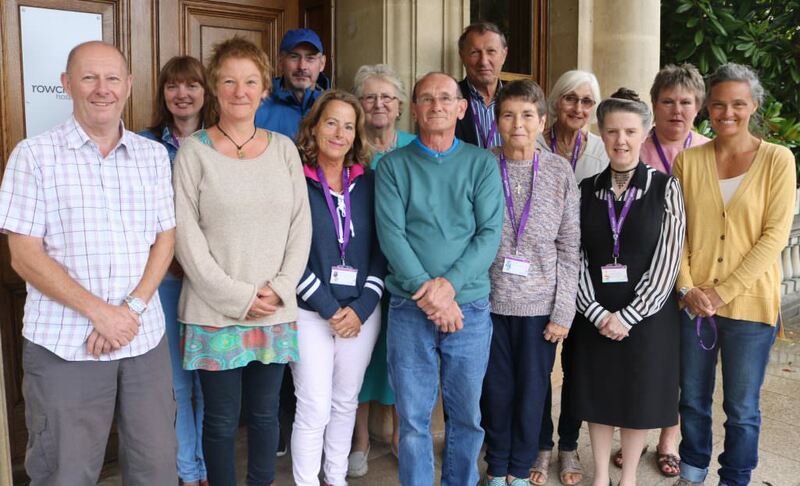 Rowcroft Hospice in South Devon has introduced a new, volunteer-led listening and support service for patients and their families, following a successful funding bid. Entitled the ‘Rowcroft Listening and Support Service,’ the new provision enables a team of Rowcroft’s specially trained volunteers to offer emotional support to patients and their families during the end of life period. The hospice has been donated grants totalling £24,000 to establish the new service, which will initially run for a trial period of 12 months. The grants have generously been donated by the CSIS Charity Fund, via Hospice UK, and the Newton Abbot Hospital League of Friends. Rowcroft’s Bereavement Service Administrator, Dawn Stirk, explained: “For many years Rowcroft’s volunteers have supported the relatives of our patients following the death of their loved ones. Rowcroft has long wanted to develop the new Listening and Support Service in order to enhance the support already offered to patients and their families. Rowcroft’s Director of Patient Care, Gill Horne, explained: “We are extremely grateful to the CSIS Charity Fund and the Newton Abbot Hospital League of Friends for enabling us to establish this dedicated service. Chris Furlong, Grants Trustee for the CSIS Charity Fund, said: “The Fund is delighted to support Rowcroft Hospice via Hospice UK in its efforts to help the relatives of those who are nearing the end of their life. The new service offers patients and their families supportive listening from a well-trained and skilled volunteer, providing time and space for the person to talk to someone not directly caring for them, and not a family member or friend. Among those offering the extended service is Sue Lynch, a Rowcroft Volunteer from Newton Abbot. Sue said: “We give patients and their families chance to talk about their innermost feelings and whatever we can do to help that’s within our remit, we will. In 2016 Rowcroft was forced to scale back a number of its services following a funding shortfall, but is now focussed on generating additional income to develop services for people living with life-limiting illnesses in South Devon once again. Rachael Bryett, Head of the hospice’s Fundraising, said: “We are so grateful to the Newton Abbot League of Friends and the CSIS Charity Fund for funding this new service; it is only thanks to their generosity that we have been able to embark on this new pilot project that will benefit so many of Rowcroft’s families. Having supported local people living with life-limiting illnesses for the last 35 years, Rowcroft is committed to improving its financial stability and investing in services to provide support and care to all those who need it for many years to come.